Hey guys! 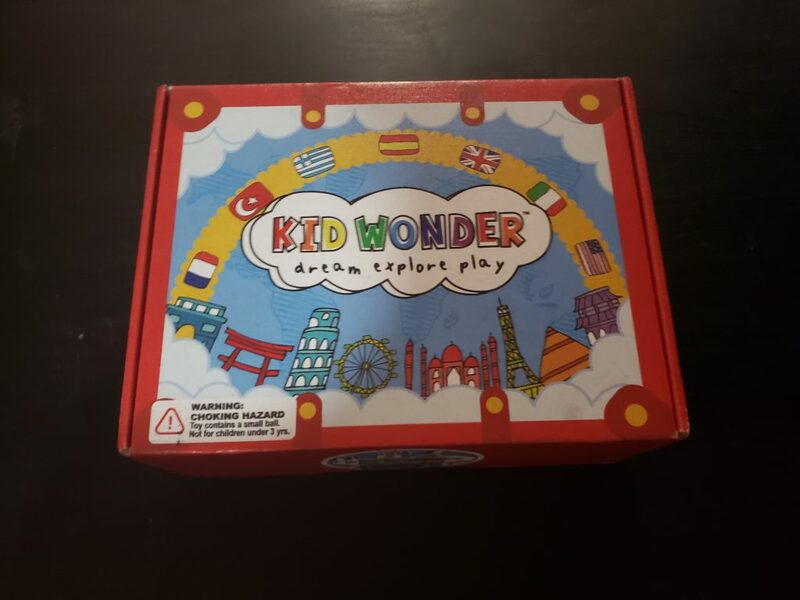 Today I’ll be doing a review on the Kid Wonder Box for November 2018! 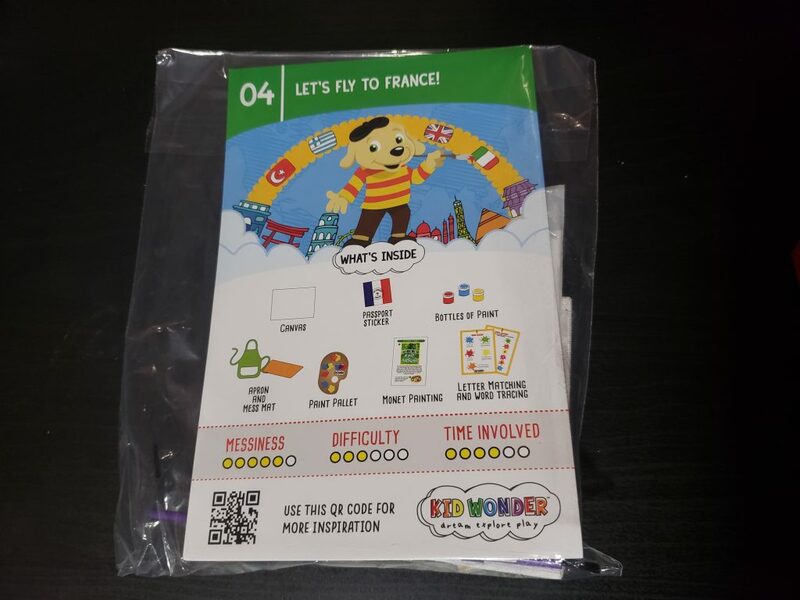 This will be the third Kid Wonder Box that we received and my three-year-old absolutely loves it! I don’t know if your child gets super excited about packages like mine does. Every time her Kid Wonder Box gets delivered, she asks me if it’s Christmas. 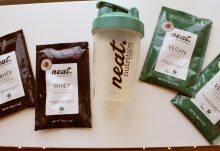 Before I begin this review, let me go ahead and answer a few questions for you. 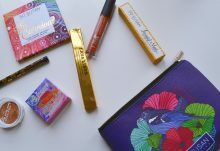 What Is the recommended age for this Subscription Box? 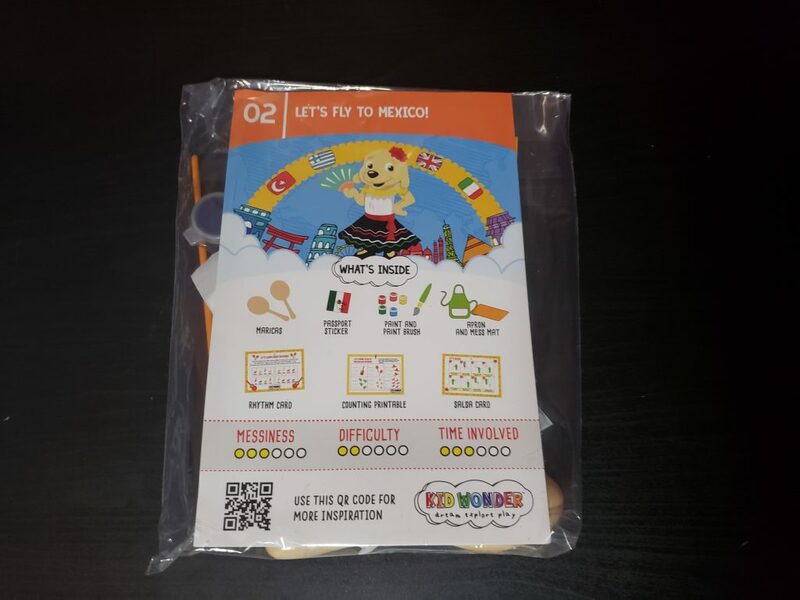 Kid Wonder Subscription Box is recommended for ages 3-6. 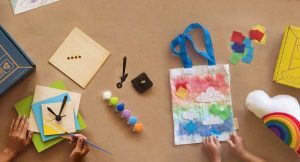 They’ll soon have a box for ages 5-8 and 7-10. Is this box worth the price? 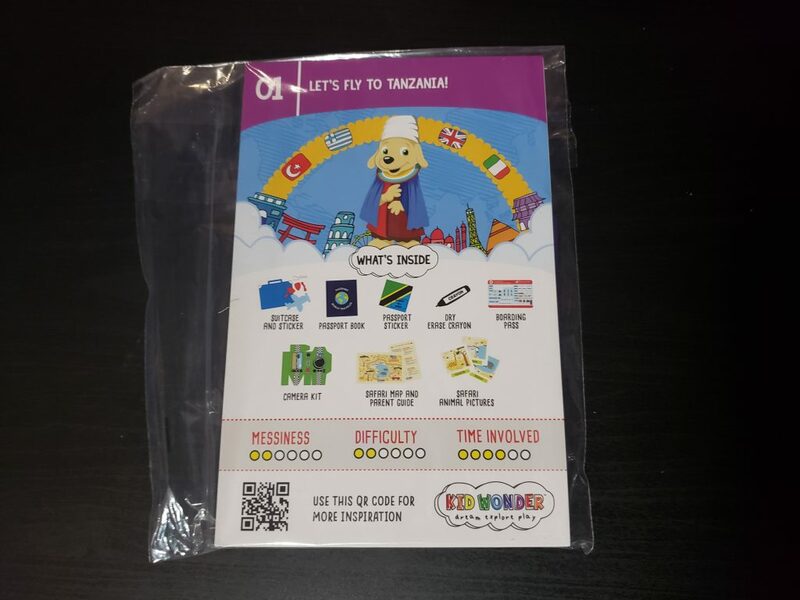 Now without further ado, let’s get into this month’s Kid Wonder Box review. 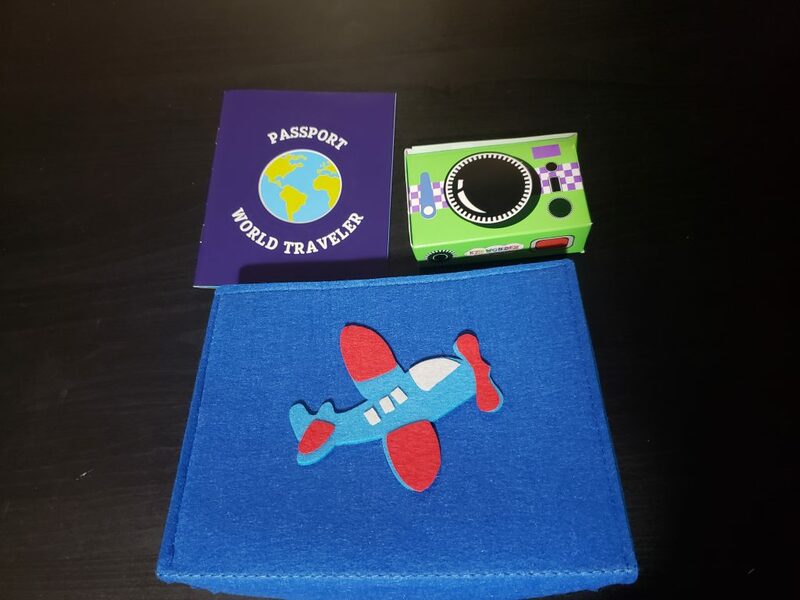 Each Kid Wonder Box comes with a certain theme for that month so this months theme is “World Traveler” which is such an awesome theme. 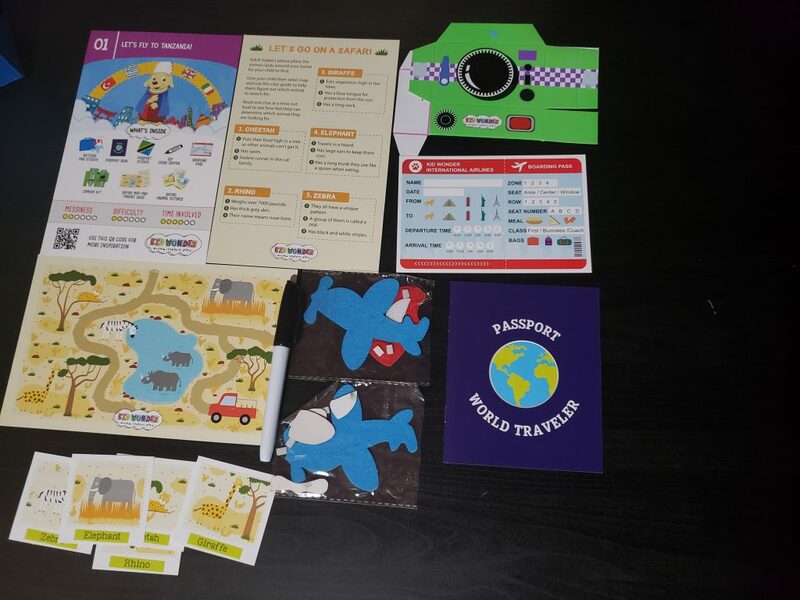 I love that this month’s box will teach kids a little bit about other cultures because our world is made up tons of different cultures. Can we all appreciate how cute this box is? You can turn this into a game and ask your child what they think is inside of the box this month. You may be surprised on what answer they may have for you. 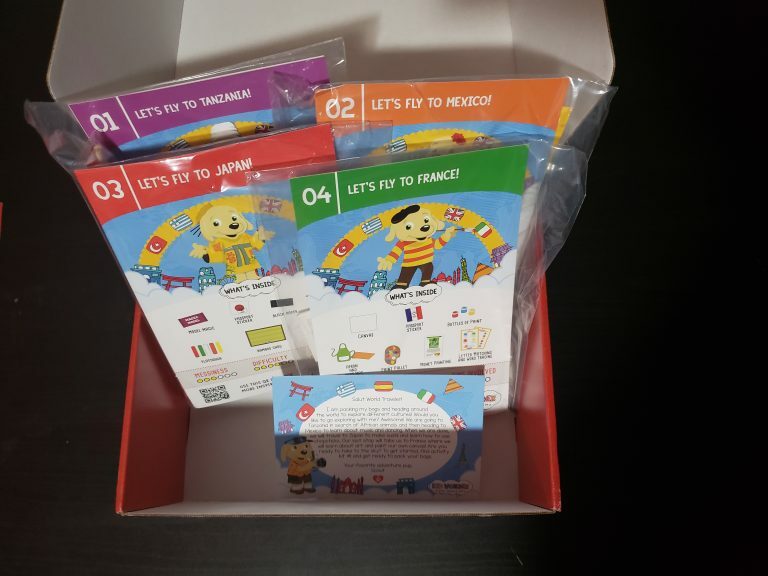 When I asked my daughter, she said this box will have delicious snacks from all around the world and a lot of flags. Haha. 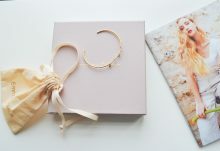 Inside of your box each month will have four or more activities and a little card on what this month’s theme is. 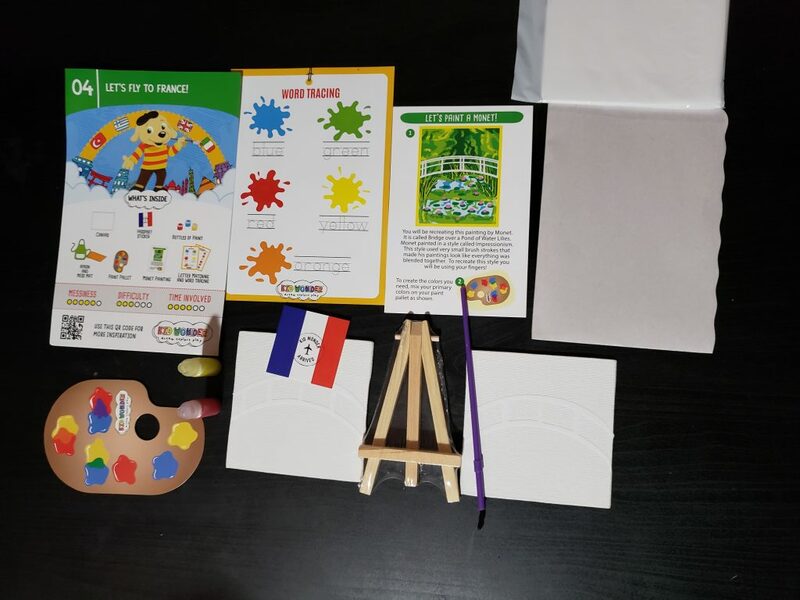 Each activity will be neatly labeled by number and it will give your child a chance to show off a little bit of their number skill. My child loves to lay the activities out in order by number. Now, let’s fly to Tanzania!! In Activity 1, we filled out our passport, decorated a briefcase, made a camera and had a safari scavenger hunt!! It was also so much fun acting out the different animals. 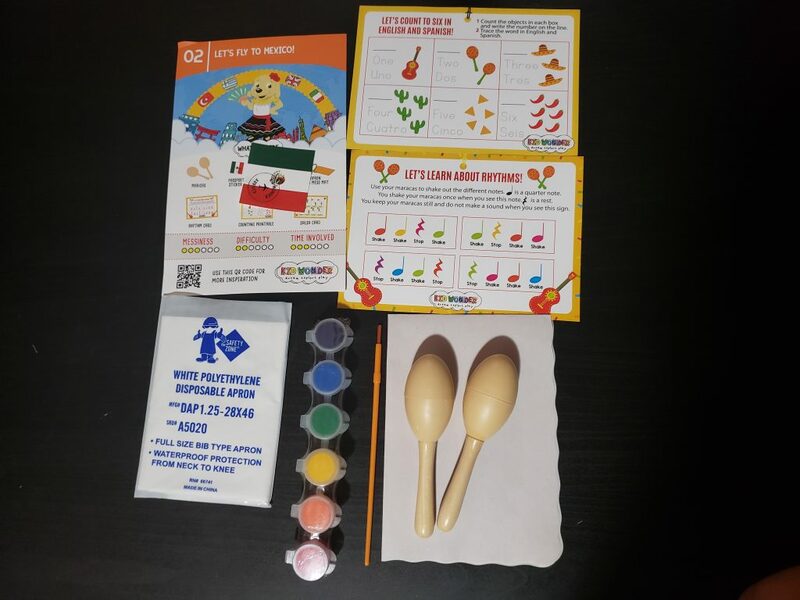 In this activity we learned how to count in Spanish from one to six. 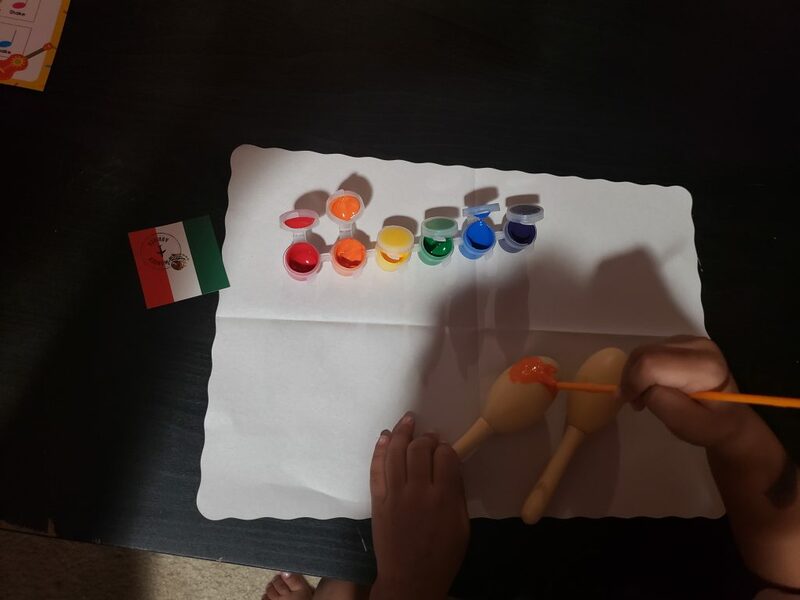 Next, we had so much fun painting our maracas and there was even an apron, so we didn’t mess our pretty clothes up! After the paint on our maracas dried, we had a mini fiesta which was so much fun!!! Although our fiesta was fun, we had to cut it short because we still had two more places to fly to!! This activity was my favorite. 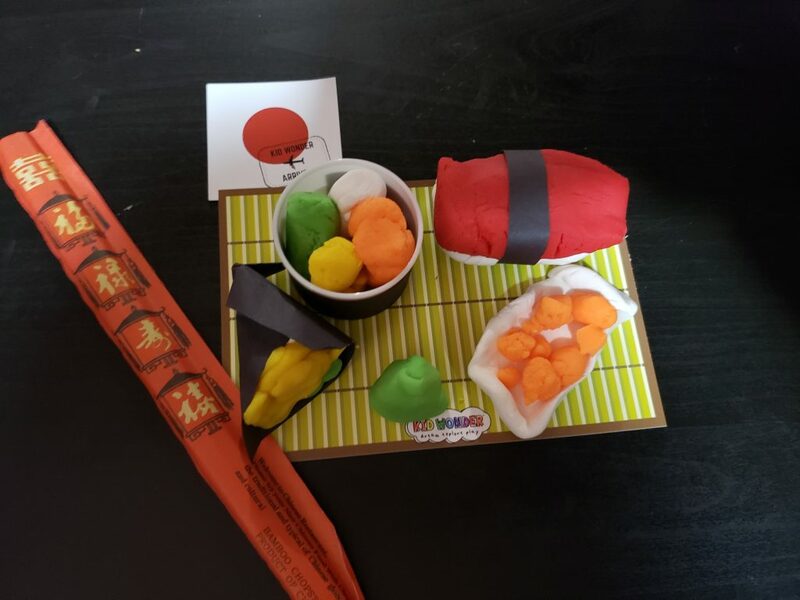 I love sushi and we were able to create different sushi with Play Dough. 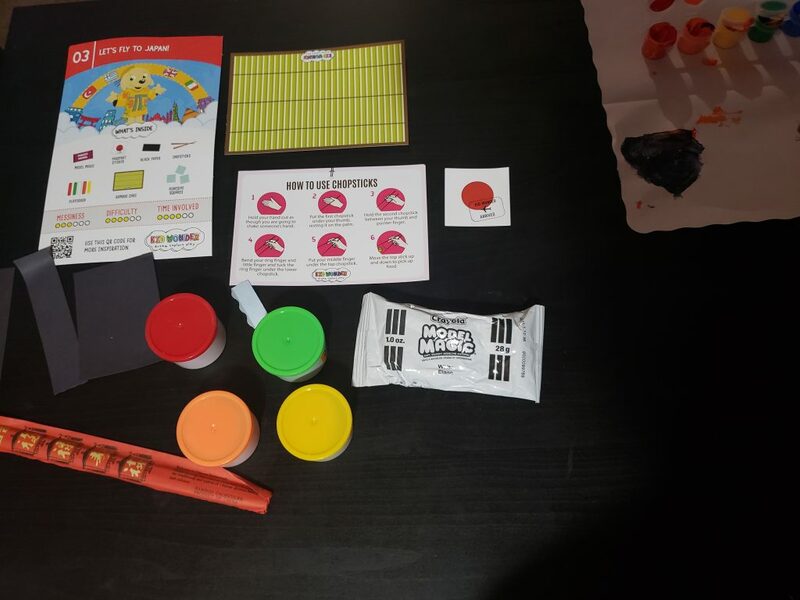 It’s so cool that the Kid Wonder Box even had a Bamboo Card to put the sushi on! Here is our finished product below. 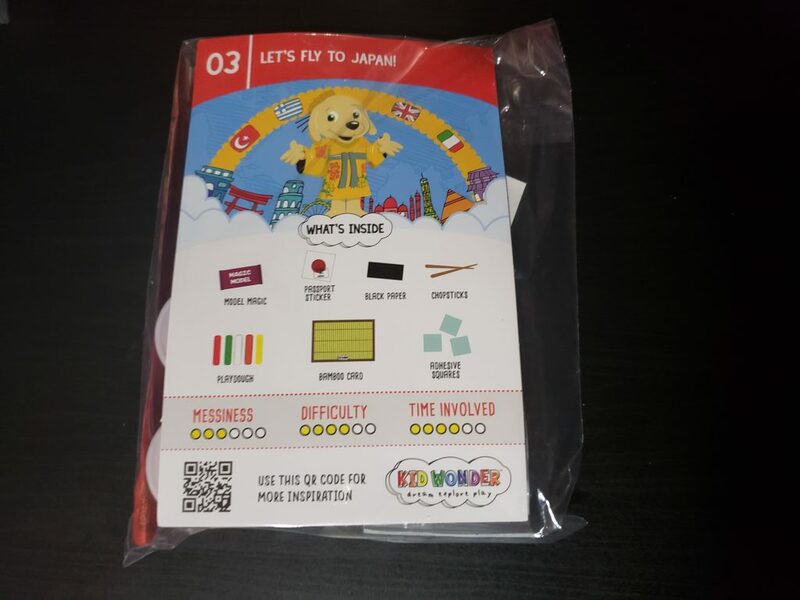 We finished off this Kid Wonder Box by creating art work and adding our last sticker into our passport book. 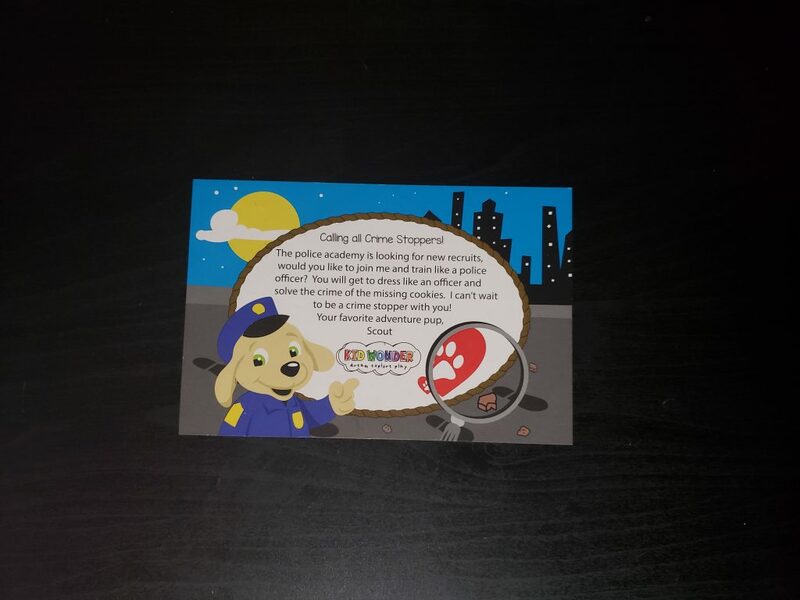 We can’t wait to stop all the crime. How about you?